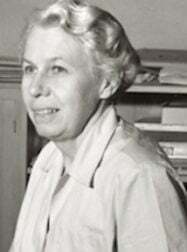 Lois Lenski (October 14, 1893 – September 11, 1974), American children’s book author and illustrator, was best known for realistic depictions of childhood in regional settings around the U.S.
Born in Springfield, Ohio, she was daughter of a Lutheran minister, and with family, moved to a small village that was to be her home for the duration of her childhood. Growing up in this setting would eventually have a profound influence on her calling as a writer and illustrator. As a young girl, Lenski showed an early aptitude for art, and it was in the visual and applied arts in which she pursued an education. After graduating from Ohio State University in 1915, she studied at the Art Students League in New York City on scholarship, followed by the Westminster School of Art in London. While abroad, she spent several months in Italy. 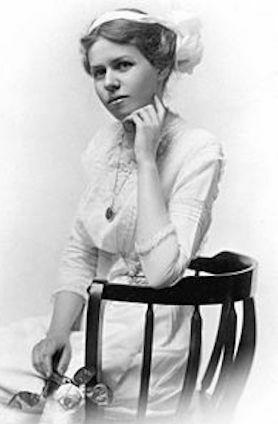 Upon returning to the U.S., Lenski married Arthur Covey, who had been one of her instructors during a brief sojourn at a school for industrial arts. A muralist, he was a widower with two children when the couple married in 1921. The couple settled in Connecticut had one son of their own. Covey was considerably older than Lenski, and felt she should set aside her creative pursuits to care for the home and family. That made her even more determined to pursue her career, and with her own earnings, hired household help in order to have more time for her work. Lenski’s first book, Skipping Village, was published in 1927. A Little Girl of 1900 followed, and launching her career as an author-illustrator of children’s books. The latter included stories set in the Ohio town of Lenski’s own childhood, and convey her love and keen understanding of life in small-town America. Phebe Fairchild, Her Book was the first of numerous books depicting American childhood. One thing was clear — the fictional boys and girls represented in her books reflected the reality of their times, in which children had to work to help their families survive. 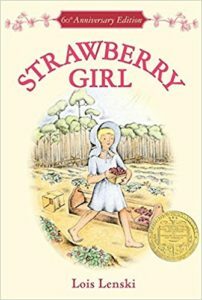 In 1946, Lenski won the 1946 Newbery Medal for Strawberry Girl brought even more attention to her genre of regional books for and about children. 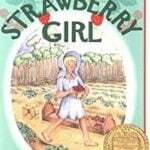 Strawberry girl was preceded by Bayou Suzette, and joined by many others, including Blue Ridge Billy, Boom Town Boy, Coal Camp Girl. Through these books, all of which she illustrated, she took readers on journeys all over the United States to give snapshots of how children lived. Lois Lenski did first-hand research, traveling to all of the areas in which she set her stories. She spent time with families, listens to their stories, and noted their patterns of speech. She did sketches with her drawing pencil, later refining them into the finished illustrations in her books. In their time, Lenski’s books were considered very innovative, though some critics deemed them a bit grim. Rather than sentimentalizing childhood, they depicted members of working classes and agricultural communities. Librarians and teachers appreciated their gritty realism. The storytelling in these books opened a view into how others lived, creating a means of social awareness for young readers. Lenski is no longer as widely read as she was in her lifetime. 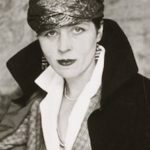 In reconsidering her work, modern critics have found her books somewhat didactic and simplistic. Her depictions of people of color have found fault, as well. 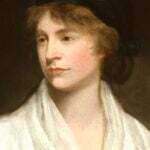 Still, her work was so unique in its time that it deserves its place in children’s literature. Her prolific output and her bold, appealing artwork highlighted her dedication to her craft. 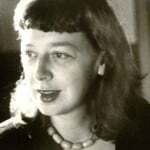 In 1951, Lois Lenski and her husband built a house in Tarpon Springs, Florida, where they spent half of each year. In the 1940s, she had health issues, leading her physician recommended avoiding the harsh New England winters. 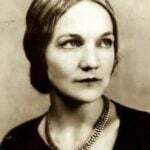 By the late 1950s, she began receiving honorary doctorates from a number of universities. 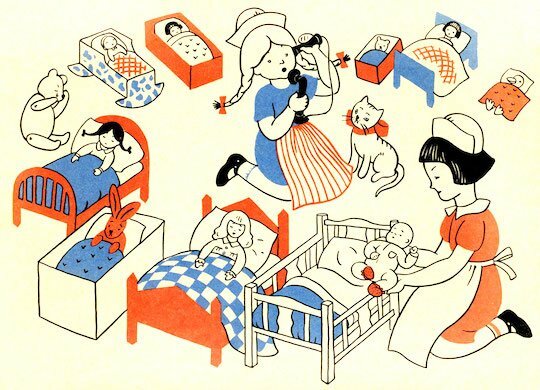 In addition to the dozens of her own books for children that she wrote and illustrated, she also illustrated nearly 60 books by other authors. Her last book for children, Debbie and her Pets, was published in 1971. Her last book, published in 1972, was her autobiography, Journey into Childhood. 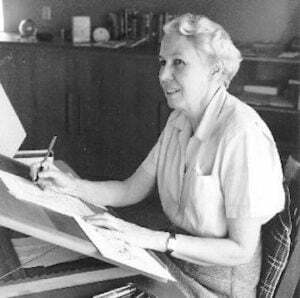 Lois Lenski died in 1974 at her home in Tarpon Springs, FL at the age of nearly 81.